German rock song writer and musician, Steve Brockmann has recently announced a new metal music project, VISION OF CHOICE. Now he has revealed the singer for this project who is Lukas Remus (EPILIRIUM). 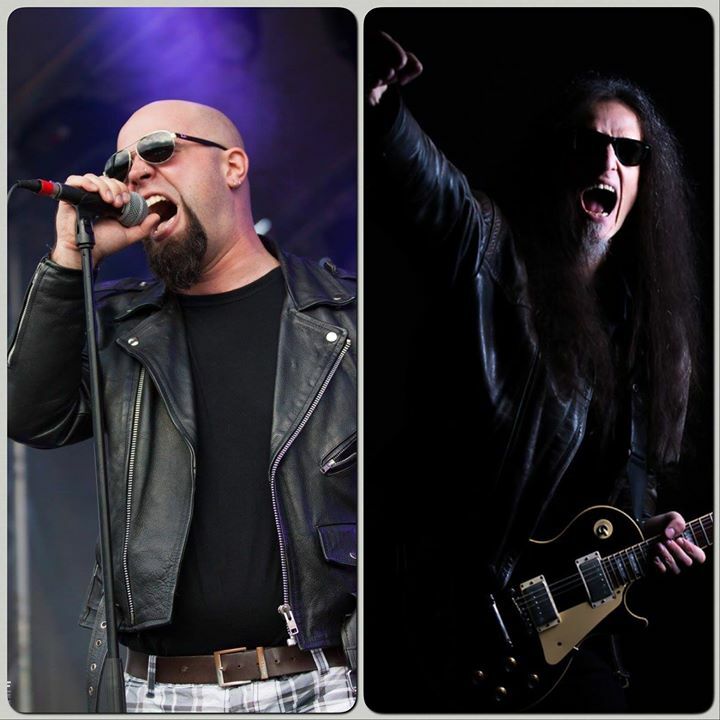 Steve commented: “I am happy to announce that I’ve finally found the singer for my upcoming metal project Vision of Choice – he is the vocalist from Epilirium, Lukas Remus! 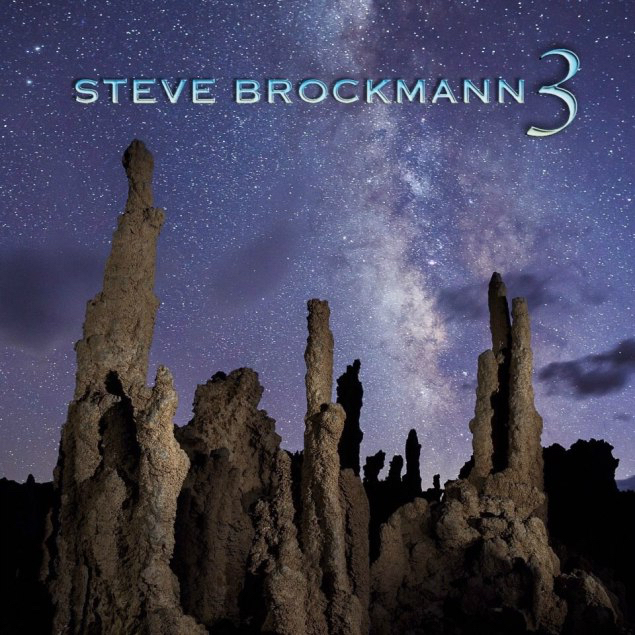 Steve Brockmann released three instrumental solo albums and a rock opera one. 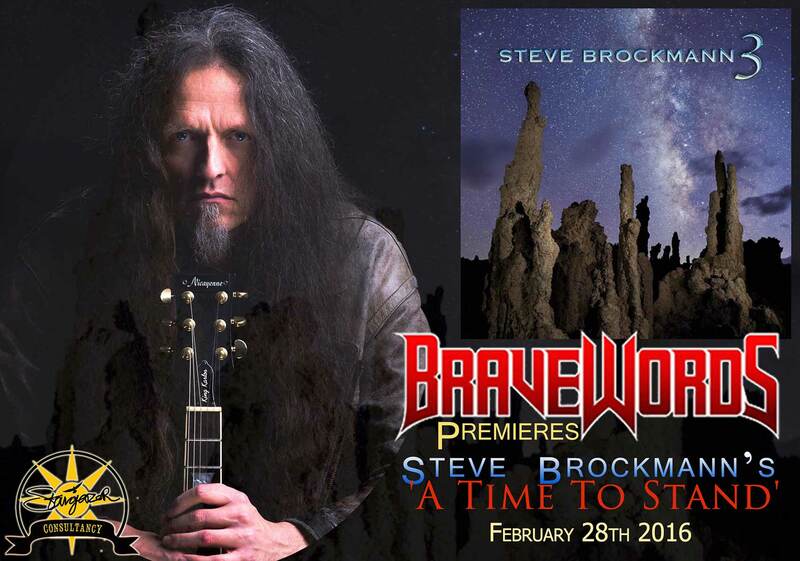 BraveWords is teaming up with German rock and metal musician and composer, Steve Brockmann, for the premier of ‘A Time To Stand’ song, taken from his third and forthcoming solo studio album, entitled “3”. The video clip of this song can be watched on Bravewords. “It is a political instrumental rock song.” Commented Steve on ‘A Time To Stand’, “About the song, well the chorus sounds proud and tall. Inhad the feeling that many achievements of mankind are endangered in these time…. Enlightenment, peace in Europe, social systems, education etc. The album is set to be released on April 2nd 2016 and now it is available for pre-order at this location. Steve has recently revealed the cover artwork and track listing of his “3” album, which can be seen below. “This album was not planned at all,” commented Steve about the making of this album, “I had been working on two other albums – the southern rock ’n’ roll project Granny Smokes and the heavy metal project Vision of Choice – when the circumstances of certain events intervened and affected my life, altering my plans. First, sadly, my mother passed away in September 2014, and in the ensuing months I simply did not have the power nor the motivation to continue working on any of my music projects … although I did eventually record two little instrumental pieces to come to terms with her leaving and express my feelings of loss: “Hope and Sadness” & “The Inner Reaches”. Then came the injuries to my hands in the first half of 2015: I hurt my right trigger finger in January and my left little finger in May, which ultimately meant not playing any music at all (or rather playing in a very restricted manner with considerable pain) for 6 months! By June I could play the piano and guitar again without any pain which gave me a much needed resurgence of energy as my musical ideas and creativity seemed to overflow; in a very short time I finished some new tracks which I uploaded to Reverbnation and YouTube. Again, I had never planned any of these recordings as material for a new instrumental album … but as September rolled around, I couldn’t help but notice how many new songs I had already recorded … and so I decided to do a few more in the same vein and indeed make an album out of them! Stargazer Consultancy has announced the signing of German composer and musician Steve Brockmann. Steve joins the Stargazer artist roster having already released three albums, the last in 2012 being a stunning rock opera with George Andrade, “Airs – A Rock Opera”. Steve Brockmann is preparing to release his next album and more details will be revealed soon. For more details on Stargazer Consultancy and the services available, visit the official Facebook page here and the official website at this location. 4 – Glow (feat. Patrick Goble) – Music and all instruments by Steve, lyrics and all vocals by Patrick Goble. 5 – The Moment’s Eye – Music by Steve, lyrics by George Andrade – this was the first song we wrote together in 2008. 6 – For You – this song was released on a charity compilation called “The Haiti Project”. 7 – 73 – (pu) – I wrote this one for the 73th birthday of my father. 9 – The Grailknights Theme (original concert intro version) – channeling music of classic anime series, a concert intro for my friends, the epic superhero death metal band the Grailknights. 10 – Where The Huskies Roam (feat. Chris Hodges) – Music by Steve, lyrics by George Andrade – this is a football fight song! 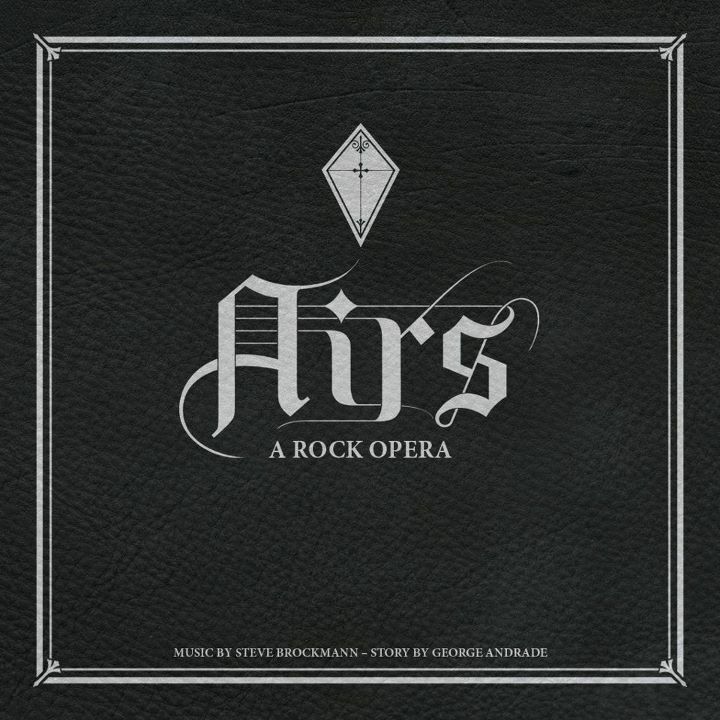 German musician and guitarist, Steve Brockmann suggests the fans to win a copy of “Airs – A Rock Opera” album by commenting on this location. The album was released on February 29th, 2012. “Steve and I are extremely proud of what we’ve written and we can’t wait for you all to finally get your hands on the album and enjoy it! The CD is packed with 74 minutes of superb, exciting and emotional music that runs the gamut of rock, blues, pop, cinema and even gospel tinged in a classic rock opera style and comes with a beautifully designed, 24 page lyric book to assist you in following what we think is a pretty cool story!” George Andrade said. As previously posted, Steve Brockmann has released “For Those Who Left, For Those Who Came (Christmas Eve)” single on November 18, 2011 that the profits will go to a Northern German charity organisation helping children and teenagers who suffer from cancer.